© the Artists. Photograph by R. H. Hensleigh and Tim Thayer. Mary and Edwin Scheier’s lifelong collaboration began in the 1930s when both worked for the federal Works Progress Administration. After spending a year as traveling puppeteers, they were given the opportunity to experiment with ceramics at the Tennessee Valley Authority Ceramic Laboratory and turned to pottery. Although they were largely self-taught, they were soon winning awards in national competitions. From 1940 to 1960, they taught at the University of New Hampshire, Durham. 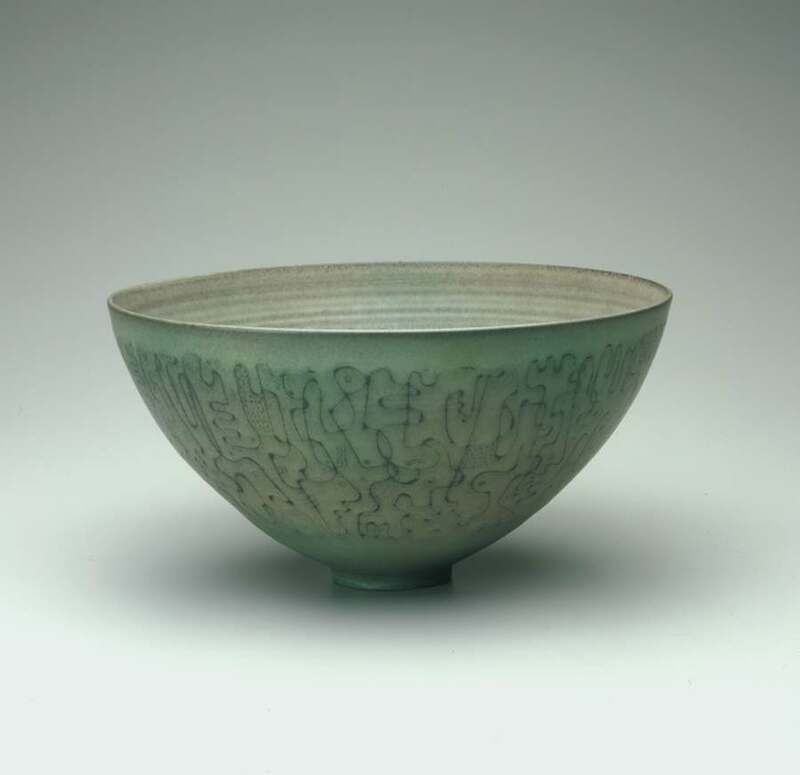 Mary threw their small and medium sized vessels, such as this one, which came into the Art Museum’s collection from the “Third Biennial Exhibition of Ceramics and Textiles” in 1951. Its flaring shape and thin walls show her mastery of the wheel and her admiration for Japanese and Chinese ceramics traditions. Edwin was responsible for the glazing and decoration. The abstracted linear patterns he used here relate to late Surrealist and early Abstract Expressionist imagery, but also have a playful quality that reflects his whimsical sense of humor.